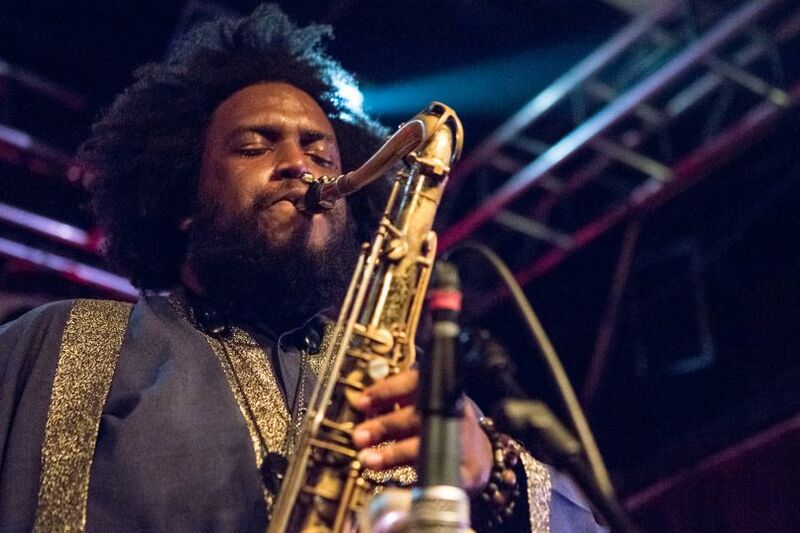 Kamasi Washington didn't pick up a saxophone until he was 13 years old, but by that point, he'd already been playing several other instruments. That's when he found his calling. Within a couple years, he was the lead tenor saxophonist at Hamilton High School Music Academy in his native Los Angeles. After graduation, he attended UCLA to study ethnomusicology. While enrolled at UCLA, he recorded a self-titled album with Young Jazz Giants, a quartet he had formed with Cameron Graves and brothers Ronald Bruner, Jr. and Stephen "Thundercat" Bruner, released in 2004. After the Disco From that point on, Washington continually performed and recorded with an impressive variety of major artists across several genres, including Snoop Dogg, Raphael Saadiq, Gerald Wilson, McCoy Tyner, George Duke, and PJ Morton. He self-released a handful of his own albums from 2005 through 2008 while also performing and recording as one-third of Throttle Elevator Music. In 2014 alone, Washington demonstrated tremendous range with appearances on Broken Bells' After the Disco, Harvey Mason's Chameleon, Stanley Clarke's Up, and Flying Lotus' You're Dead!, among other albums that covered indie rock, contemporary and progressive jazz, and experimental electronic music. The following year, Washington contributed to Kendrick Lamar's To Pimp a Butterfly and released The Epic on Flying Lotus' Brainfeeder label. An expansive triple album nearly three hours in duration, it involved the other three-fourths of Young Jazz Giants -- by then part of his larger collective, alternately known as the Next Step and West Coast Get Down -- and a string orchestra and choir conducted by Miguel Atwood-Ferguson. A critical and commercial success, The Epic landed at number three on Billboard's jazz chart.